Summer time is the perfect time to get out & enjoy the out doors with your friends & family! A few months ago I decided that this summer we would spent a lot more time out & about! There is so much to do in our community from parks to spray-grounds, water-parks, you name it - we probably have it! 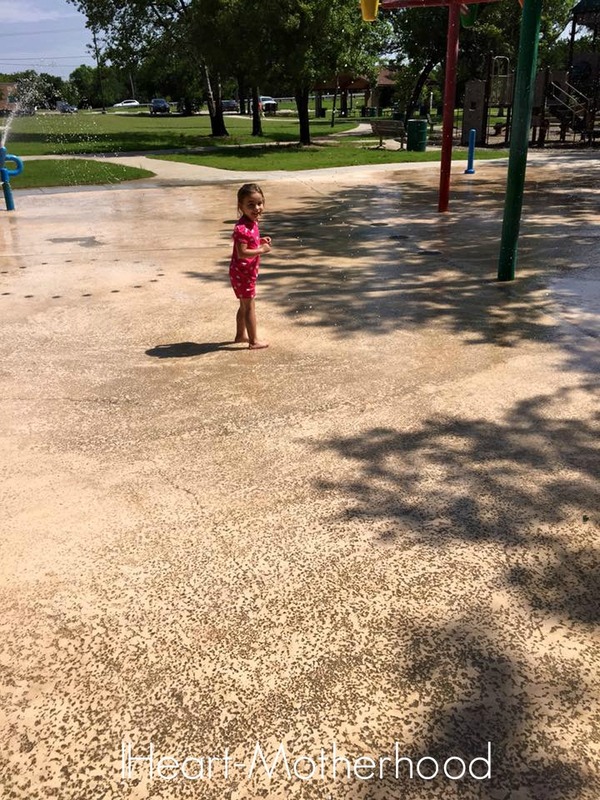 Our local spray-ground is one of our favorite spots, not only does it have an awesome splash pad, there is a play ground too. My children always enjoy running & playing with each other & meeting new friends along the way! The spray-grounds tend to get busy fast some days & with the heat it's always nice to go earlier in the day, it's a great way to meet some new families & let everyone play their energy out! Another family favorite this summer is our local water park, we bought season passes this year & so far we are loving it! Whether we are spending a few hours there or the entire day, I enjoy playing in the water with my children, teaching them how to swim, splashing each other & just enjoying the time together. No cell phones, no television, just a ton of water, an abundance of sunshine & nothing but smiles on my kids faces! Play is so important for our children & it's even more important for us as parents to get out & play with them! So have fun, go play out doors this summer!